If you haven’t noticed my pattern, I am all about making everything from scratch. There is so much satisfaction that comes from this process: the feeling of getting your hands into dough, mixing and shaping and creating something edible from raw ingredients. Also, it just tastes better when it’s homemade! My friend Carolyn agrees with this approach as well so we share stories and recipes and dissect when something works well and when something doesn’t. Carolyn makes ricotta cheese from scratch, so I can’t wait to try that, but she showed me this recipe, which she found at 101 Cookbooks (great site, good photography). She thought I should give them a whirl. It’s a very simple recipe. Comes together in minutes, and even faster if you use a mixer (I used more of a pasta method, mixing everything on the counter). I separated the dough into 16 balls to rest. Then after letting the dough rest, rather than use a rolling pin, I opted for the pasta machine. You really want consistency on these crackers for even baking. While rolling by hand is fun and builds muscle, it’s not as reliable. I found I was able to roll each section into a strip and then cut similar shapes each time. For each section of dough I used various toppings on the crackers; basic salt and pepper, lemon and lime zest, cumin and chili and garlic topping. I also used Pink Salt, from my strange ingredients, on some too! The crackers look rustic and homemade and beg for you eat them. 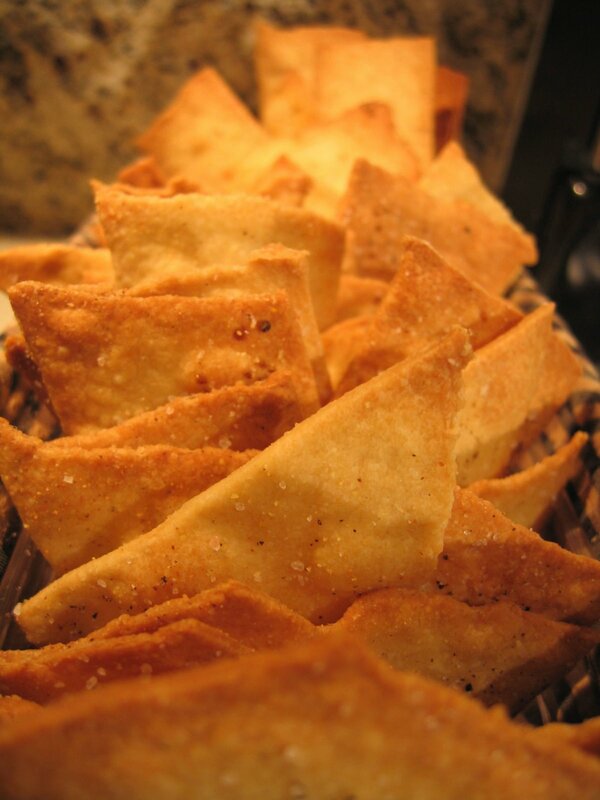 They are not overly flavorful, but it’s a cracker, pair it with nice cheese and salami’s or make a dip. They were perfect for the patio snacks and drinks. The process can be considered slightly time consuming. Keep this in mind if you plan to make these for a party as you might want to do these a day ahead or in the morning. Keep them covered and out of sight or you might just eat the whole batch before the guests arrive! You can mix this in a stand mixer or by hand (which is how I mix). Place all dry ingredients in a bowl and mix with a fork. Add the extra virgin olive oil (EVOO), and then slowly add the water. Depending on the day and the humidity, you may need a little more or a little less water. You can always add more flour if you ended up with too much water and the dough is too sticky to work with. Keep in mind the dough will be slightly sticky. 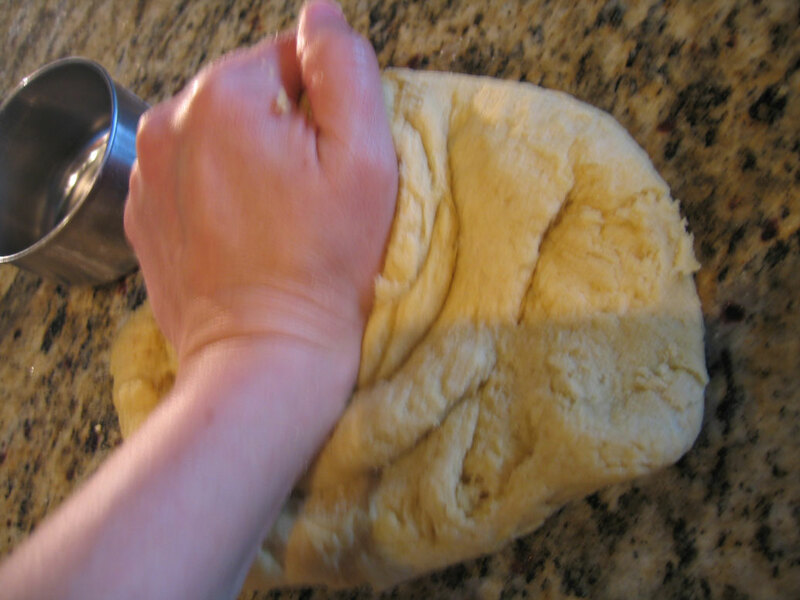 Place the dough on a floured surface and knead for a few minutes. Now the dough needs to rest for about 30 minutes. Cut or pull the dough apart into small balls, I ended up with 16 of them. Brush each dough ball with EVOO and cover with plastic wrap and a damp kitchen towel. If you’re using a stand mixer, simply start with the dry ingredients and add the wet, letting the mixer do the kneading for you. Preheat your oven to about 450 degrees. 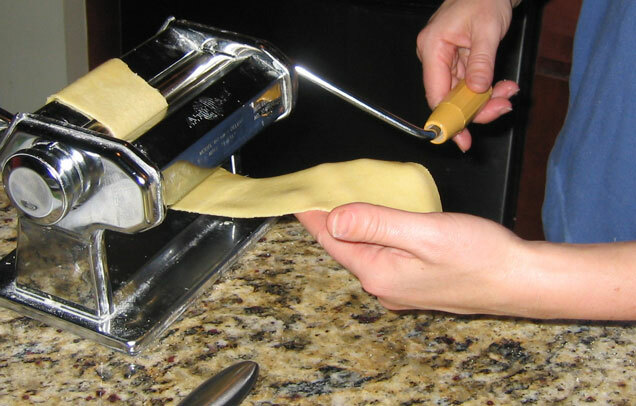 You can roll your dough by hand or use a pasta machine, which is how did it. Then simply cut the shapes you want, season with your favorite spices and bake until golden brown. 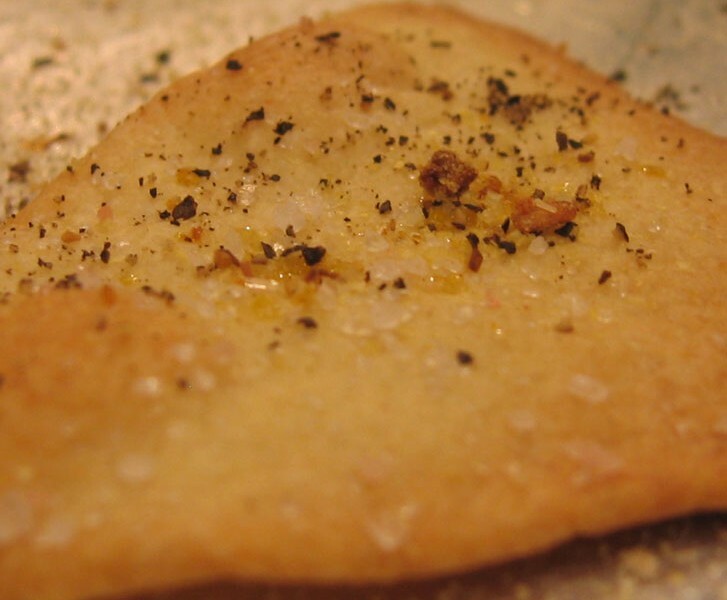 Simple salt is just fine as this is a simple cracker. But feel free to experiment with hot pepper or even a little ginger! There are no mistakes here. Just depends on your flavor preference. You will wow friends with something you made from scratch. Be careful, though. You just may get addicted to scratch baking! Now sit back and admire your hard work, munch on a cracker, sip on something fruity and just be Fat and Happy!